Wait until you see this delicious recipe Molly Allen, our new baking contributor, and the woman behind CakeFYI created for us. 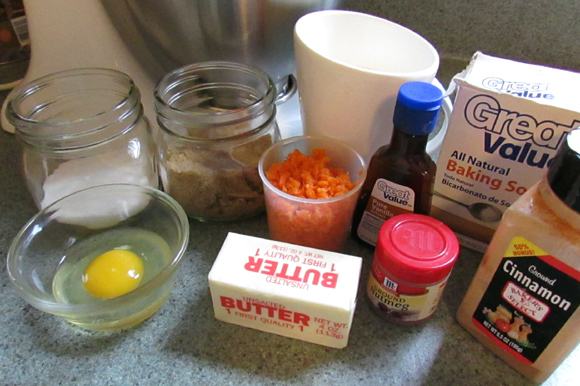 After this, you'll never think of carrot cake the same way again! Carrot cake with cream cheese icing is always a classic favorite around my house. However, sometimes, classics can be made better when you switch things up a bit. 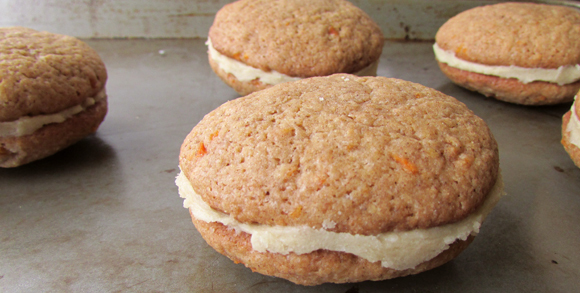 For these cookies, I’ve taken the flavor of moist, fluffy carrot cake and combined it with sweet brown sugar icing to create the perfect sandwich cookie. 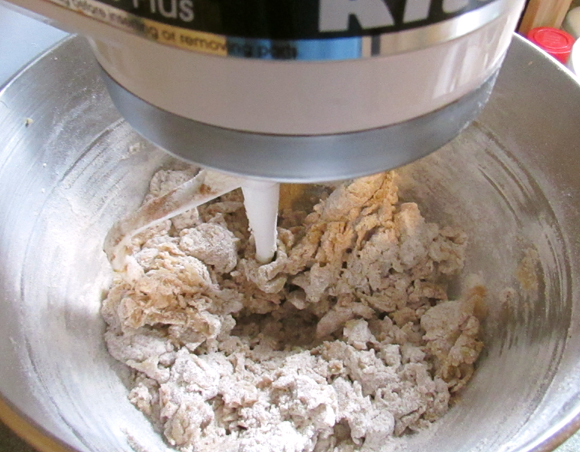 In a separate bowl, combine flour, baking soda, salt, cinnamon, and nutmeg. Set aside. 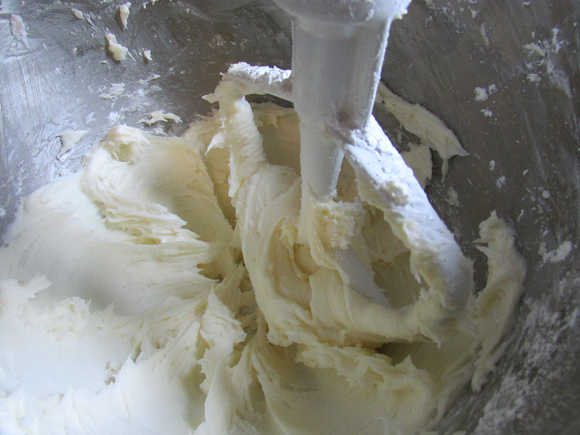 In the bowl of a stand mixer, cream the butter and sugars until fluffy. Beat in the egg and the vanilla extract and mix well. 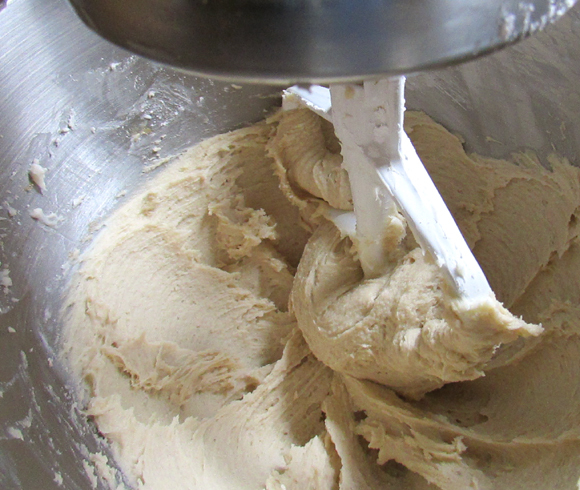 Gradually add the flour mixture to the butter mixture, and beat until a soft dough forms. Drop by tablespoons full onto a greased cookie sheet. Bake for 10-12 minutes, until the edges are golden brown. Let cookies cool on the baking sheet for 5 minutes, and then transfer them to cool on wire racks. 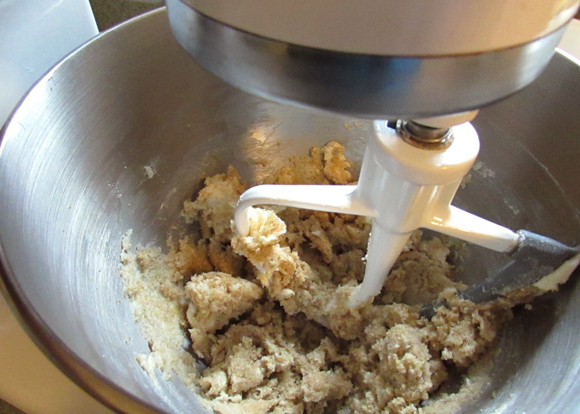 While the cookies are cooling, make the Brown Sugar Icing. 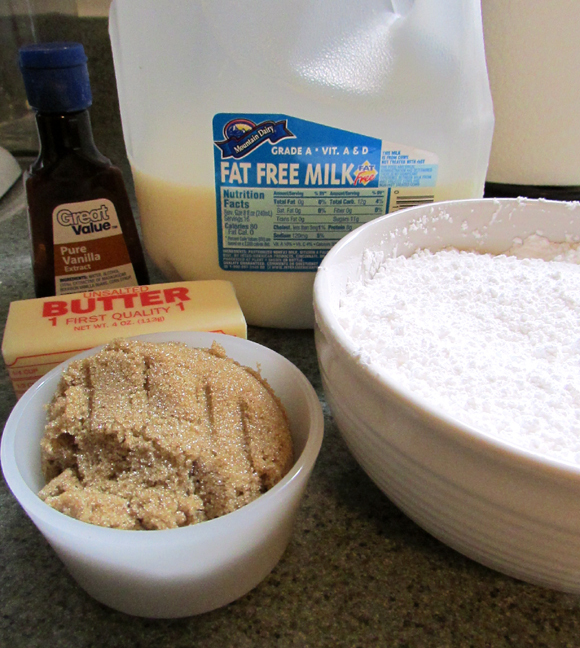 In the bowl of stand mixer, beat the butter and a 1/2 cup of the powdered sugar. Add the vanilla extract and milk and continue beating. Continue to add powdered sugar until you reach your desired consistency. Beat in brown sugar until well combined. 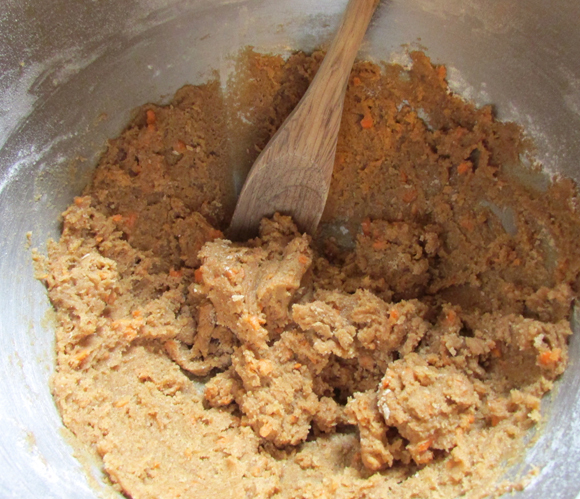 Once cookies have cooled, spread brown sugar icing on the bottom of one cookie. Top with another cookie. Press together lightly, making sure the icing spreads all the way to the edge. Let icing dry for one hour. Thanks, Molly, for the yumminess. To learn more about Molly, check her out at CakeFYI. Carrot cake with cream cheese icing is always a classic favorite around my house. However, sometimes, classics can be made better when you switch things up a bit. 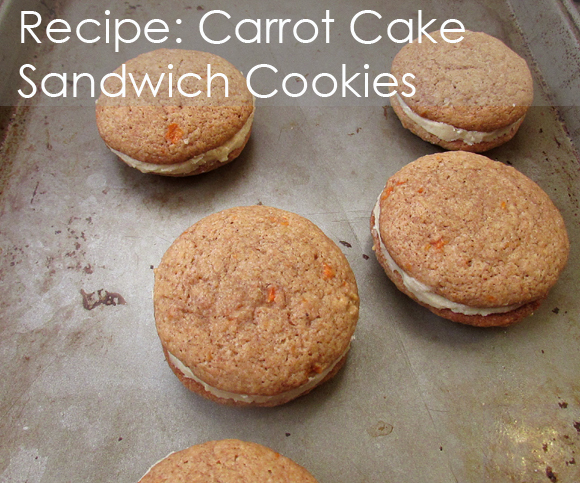 For these cookies, Iíve taken the flavor of moist, fluffy carrot cake and combined it with sweet brown sugar icing to create the perfect sandwich cookie.